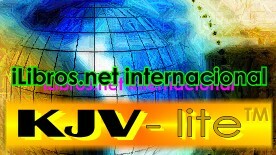 Keys to KJV-lite VERSES: This NOTE is an OVERVIEW of what you will find on the KJV-lite pages. JESUS, the good Teacher... taught lessons of the heart that changed the world for the last 2,000 years. Obviously, He was not like the freakish religious or political leaders we see in our genius generation. Those envious, angry folks back then wanted to kill him. JESUS spoke to those with a heart, even to those with a broken heart; He didn't speak much to the heartless. He answered: What is reality? What is faith? What is the will of God for me? He answered so many questions... and none of it sounded like BS (I forget, that's either bologna slices... or bovine scatology). JESUS said, I will build MY Church; WE ARE THE CHURCH... WE ARE what He is building... WE belong to HIM... not to any hocus pocus worker(s). JESUS said in detail... what it will be like when the Son of Man - the Messiah of God... returns with power and great glory. When JESUS spoke, the multitudes marveled: nobody spoke like Him. So, JESUS did not sound like those vacillating joyless jackasses sitting in big chairs playing with their colored marbles... who are endlessly paraded in the NEWS today: and though He had no place to lay His head, that didn't bother him - JESUS spoke with power... He spoke with authority. So, JESUS did not speak any teleprompted drivel. 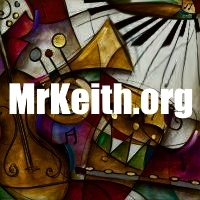 THE SONGLIST: JESUS, the good Teacher was a singer; and the great Church HE is building... sings. We know, Amos told the congregation in the last days to "take away the noise of your songs" Amos 5; so, if the songs of the people of the Living God... are getting in the way of learning and growing and staying awake, then we fully agree, it's time to get silent; it's time to take in the Word of the Lord -- each day; every day. Hosea said The people of God perish for their lack of knowledge. We need to know what the Lord said; we need to learn what He thought about, what He spoke about... because He can be trusted. Learn not just a few words, but whole sections, whole chapters. Dr. Willard said, Knowledge is the information needed to act correctly; the one who knows the house is on fire, is responsible to tell others, so they can respond correctly. And if you know the bargains, then you let your friends know. Learn from Him, and you will find rest for your soul. 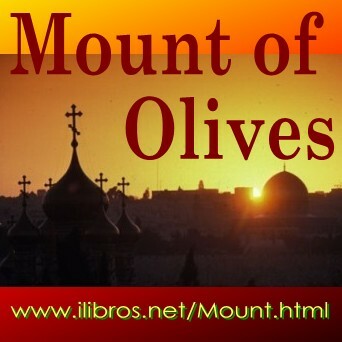 The night Jesus was betrayed, He went out with His people to the Mount of Olives, singing the great hymns of faith and faithfulness. METANOIA: JESUS, the good Teacher said this word first... to His first grade students: this was their first assignment: METANOIA... for the kingdom of God is near; He is talking about... the place where love and joy and peace are found... which is in the same neighborhood where His Father (who is our Father, too) where HE loves to hang out. JESUS the good Pastor said: reconsider; He said, rethink; definitely He did not say: repent! Can you imagine a crazy first grade teacher yelling that terrible word at first grade children? JESUS said: try again, reconsider. RUSSIA AND THE USA:Here is a history that will require you to rethink and reconsider who is a friend. Russia has been a friend of USA for a long time. And lots of fake news has been around for a long time, too. And the Church that Jesus is building is called to think differently; not to fearfully follow the violence of the last world govt that Daniel told us about: smashing and destroying until the whole world is broken. That might be rouge CIA, but it definitely isn't Russia. Next to the USA... Russia is the second largest community of followers of the Lord Jesus.IF Russia was our enemy, then why does our US Military still purchases its most sophisticated helicopter engines from Russia? JESUS knew what all good teachers know: Without a changed mind... there will be NO changed heart. By the way, when His students graduate from His class... they usually get sent away in a box addressed: to eternity! Until then, they are expected to be lifelong learners able to change their thinking regularly - until we think correctly, all the while helping others who might be a little slower! The Bible of Jesus: What did JESUS say about the Bible? Many things! This NOTE primarily looks at Old Testament verses JESUS the good Teacher spoke in His lessons recorded in the gospel of MATTHEW. The night He was betrayed, JESUS the Logos of God, full of grace and truth, written on His heart, He said, he who loves Me, keeps (guards to protect) My words; and the word that you hear is not mine, but the Father's who sent Me. 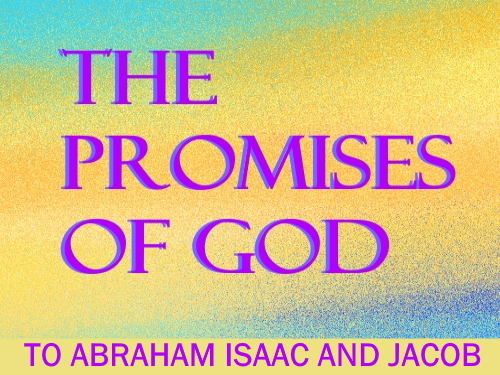 The PROMISES of GOD to ABRAHAM, ISAAC and JACOB: ABRAHAM, ISAAC and JACOB received many promises from GOD; nationalistic promises; promises to be fulfilled in time... showing GOD's faithfulness to HIS WORD. Can you imagine GOD's kindness to mankind? Not for the children of ABRAHAM to be arrogant and prideful, but that they would become a blessing to the world. Where were the PROMISES of GOD fulfilled in world history? BEFORE Father JACOB died, he gathered his 12 sons together to tell them what would happen to their descendants in the last days. What is the will of God? : What is our destiny? What is our destination? It's not complicated. It is written on page ONE. PASSOVER... and the Last Supper: The western solar calendar differs from the Orthodox solar calendar and both have little to do with the more accurate Jewish Passover lunar calendar. READ our simple suggestion for the Church to remember: PASSOVER DAY... instead of being stuck to the stale roman calendar. At the very least: we can Celebrate the Resurrection of Jesus Christ every day! HE IS RISEN! And some day, we will rise, too! For Christ our Passover has been sacrificed - 1 Corinthians 5. DISCIPLES and what they know: Today voices shout, THE BIBLE... -- a manuscript more freely valued than any other book - without equal, as well as more critically scrutinized for the past 2,000 years than any other book - without equal... yet some shout: THE BIBLE... can�t be trusted; what is written about Jesus, the good Teacher can�t be trusted; they even say that what Jesus said can�t be trusted... and many other such bold comments. By the way, you see... we have many friends / fellow students along with us learning... in many countries. Jesus the Christ... said to His students who gathered... false christs, false prophets, false teachers, and skillful liars are on their way. 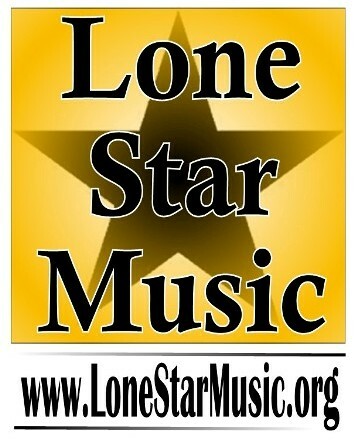 Well folks, they have arrived... in buses and planes; in automobiles and trains; by foot and by the internet. The kingdom of God: JESUS said: Seek first... the kingdom of God... and His righteousness. What is the kingdom of God? Is the kingdom of God... the same as the kingdom of heaven? Yes! Same place! JESUS is the good Teacher! Now days, His lessons are meaningless to about 99.9% of the brilliant science and research devotees... who would have to scratch their vacant head, and raise their hand and ask the Teacher: could you repeat that? I can't find it in my telescope or microscope. The last days of JESUS: when He lived among us; the final week leading up to the PASSOVER, when all those lovers of their artificial traditions... all those dull, loveless, angry, envious religious leaders of the day wanted to kill him. What church was that? KEEP, GUARD TO PROTECT: This is the first assignment the LORD gave to Adam in the Garden, something he did not do. Also, it is the assignment done by the faithful church of the Revelation in Philadelphia. Notice, they did not need a reminder: to rethink, to reconsider - apparently, that was something they learned to do regularly. So, how are we in the Church doing with what JESUS asked us to do? Would you really give your life for what you see and hear now days... all that lip service; and that whimpy, weak and whiny weird stuff claiming to be what JESUS said He is building? A.W. Tozer said, he wouldn't; so that's two, cuz I wouldn't! THE LAST GENERATION: Most people seem confused about the LAST DAYS, the latter days; the LAST TIMES. They seem terribly ignorant, though Paul said, I would not have you ignorant, yet many haven�t thought it through to its conclusion. When we read: the last days; it is because there are 3 Days still on the Lord's calendar. JESUS said, until the time of the Gentiles be fulfilled�Luke 21:24; so definitely, there is life after the goofy Gentile nations. THE WAY, THE TRUTH, THE LIFE: JESUS said: I Am the Way, the Truth and the Life. Wow! I don�t know anybody who would say such things, do you? But when JESUS spoke, we are told by reliable sources... He spoke with authority, and not like the educated elite of the day. 7 DAYS, Appointments of the LORD: 7 specific Days; Moses told God�s people about those 7 Days that belong to the LORD God. Can you name them? By the way, we can pause and acknowledge their importance to the LORD... without having to go and buy a cake to celebrate them. After all, those appointments belong to HIM! The LORD said, Three  times of year you shall keep a feast unto Me�Exodus 23:14. These 3 Feasts center around... the 7 DAYS that belong to the LORD - 7 Days on His calendar that He will keep. The feast of Ingathering... (lasting at least 2 weeks) in the end of the year when you gather in your labors out of the field. Proverbs 22 says: Remove not the the ancient landmarks. Job knew: Some (thieves, robbers, hirelings) remove the landmarks, and violently take away flocks to consume them. May our faith arise to simply embrace the 3 remaining Days of the LORD... after the summer growing period, 3 Days scheduled during the time of harvest... the 1st Day when MESSIAH comes for his Bride; the 3rd Day Zachariah tells us is a Day of joy and thanksgiving in the Millenium... but the 2nd, the bloody day points to when HE comes in power and great glory. By faith, yet without spending a dollar, we in the church can equally understand these 3 remaining Days of the LORD... as we have embraced the first 4 Days, Appointments that HE already kept... which were fulfilled when MESSIAH came lowly and in great humility. and 1 group thought lost to history but not to God... carrying with it ALL the nationalistic promises God gave to Abraham, Isaac and Jacob generously demonstrating God's faithfulness in time. Moses and all the prophets speak about those 2 Houses that belong to the LORD God. Can you name them? Can you name one of them? DANIEL'S 4TH BEAST: Daniel wrote of 4 great governments that would come, 3 would arise... in other words: they would go; they would still be around but their influence would diminish; but the 4th government - which turned out to be ROMAN... would be around... until the Gentile nations come to an end. So, we should see evidence of the 4th beast busy at work, smashing and destroying... in the local and international TV news, today... at work... hard as iron until the whole world is broken. This NOTE ends with the poem: CAN WE COUNT TO 4? TEMPLE, tabernacle, house: The last time JESUS was at the temple complex... called: the Temple Mount, JESUS ended his confrontation with the religious leaders who sought to destroy him, He said: Your house (no longer His Father�s house) is left to you a waste and desolation. The BIG QUESTION??? : 2 or 3 TEMPLES... is another building required? NO Too late! Not needed! Read: Isaiah; read: Zechariah; question answered. A tent; the Branch will put it up when He comes again; because first there will be a little earthquake in the neighborhood. 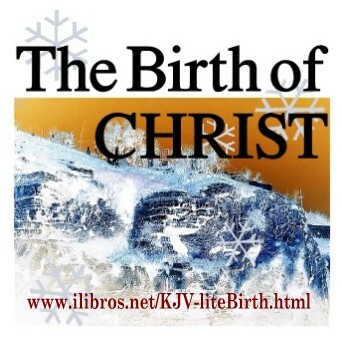 The night JESUS was betrayed He said, In My Father�s house are many mansions! When JESUS speaks... everybody�s opinion, all the modern scholars... along with all the prophets, prelates and kings... and all their limited opinions, judgments and conclusions must bow... to the good Pastor�s correct assessment and clear teaching. The place where His Father lives is of exceeding great importance... not only to us, but to father Abraham who searched for that city whose builder and maker was God; and David sang about it... he planned to dwell there, too... in the House of the LORD forever. JESUS said: If it was not so, I would have told you. The only question to answer: What will they do with the Chief Cornerstone that was rejected 2000 years ago? I hope they have been working on that answer, before attempting to disrupt the lives of others. KJV-lite NOTES: Isaiah 53: NOTES from an interesting bible study at a local congregation. 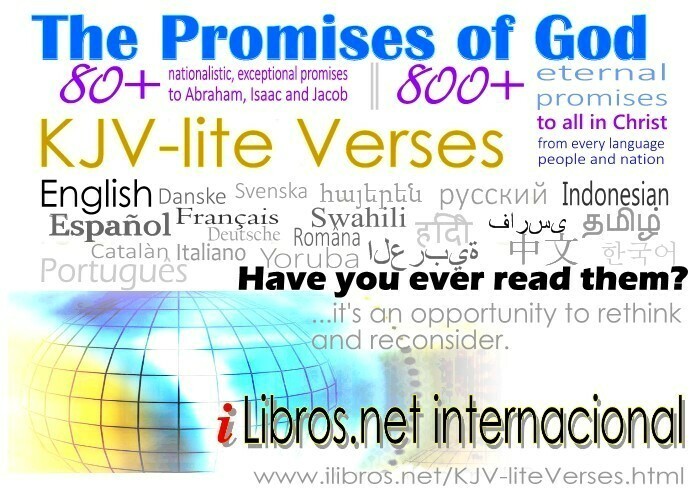 For more detail, check out: KJV-lite Verses: ISAIAH 53 vs 1 at the English tab (above). KJV-lite NOTES: Romans: NOTES for a bible study at a local congregation asking the question: was Paul like those angry, loud mouthed, finger-pointing preachers we hear today? Or was he more like Jesus whose voice was hardly heard in the streets? When Paul was inspired to write this letter to the Romans, Paul is preaching; so, who is most frequently in focus? who is his audience? who is he talking to? who is he talking about? 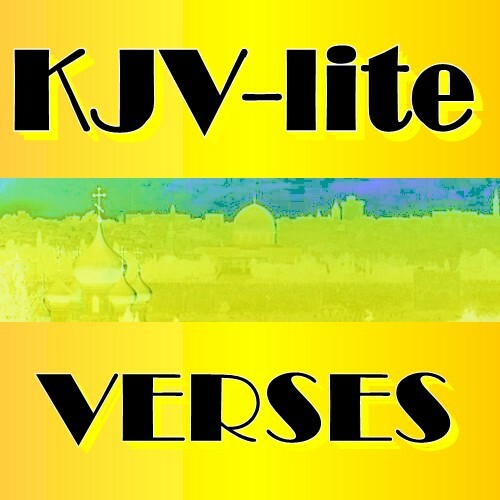 For more detail, check out: KJV-lite Verses: ROMANS at the English tab (above). KJV-lite NOTES: Daniel: NOTES for a bible study at a local congregation. Only 4 beast governments are in focus to the end of the time of the Gentiles. You will see the last government with global ambitions at work in the Media-TV news today... smashing and destroying until the whole world is broken. UNMASKING the Carnival: J B Phillips preface to The Young Church In Action: the early church in the book of ACTS; with selected pictures to compare the early church with how things are done the roman way. But be warned: When He chooses between the faithful and the faithless... The LORD of glory is such a party spoiler! WE CAME FROM WHERE? : Evolution is a FACT? it is? Since when? Isaac Newton, the father of physics; and Dr. Michael Faraday, the father of electromagnetism - both men changed the world; both men were men of faith in God... and both were servants of Jesus Christ. Neither was a fool like Voltaire. The fool has said in his heart: there is no God. Psalm 14. We included our Favorite Links to many Science and Astronomy Videos available on line... EVEN LINKS TO DINOSAURS AND THE BIBLE... copy the PDF file and share it with parents; homeschoolers; and every high school and junior high kid you know. WHO ARE WE? : So many want to know. We are amazingly graced: and learning to amazingly grace one another.